I am a Master Energy Healer, Reiki Master Teacher as well as a Shamanic Master working with manipulating the energy around and within you clearing, cleansing, and releasing. 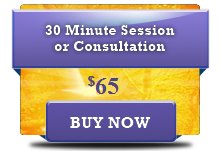 Energy medicine is a technique used for stress reduction and relaxation that may also promote healing. It is administered by “laying on hands” and is based on the idea that an unseen “life force energy” flows through us and is what causes us to be alive. If one’s “life force energy” is low, then we are more likely to get sick or feel stress, and if it is high, we are more capable of being happy and healthy. A treatment feels like a wonderful glowing radiance that flows through and around you. This energy treats the whole person including body, emotions, mind and spirit creating many beneficial effects that include relaxation and feelings of peace, security and wellbeing. Many have reported miraculous results. Energy balancing is an amazingly simple technique used to clear life traumas, injuries on mental, emotional and spiritual levels. Its use is not dependent on one’s intellectual capacity or spiritual development and therefore is available to everyone. For Reiki Certification classes, please see the Reiki Training Classes on the Payments Page.